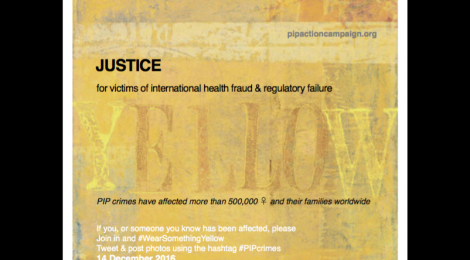 Implants should be clear in colour, but ruptured & leaking PIP implants went yellow. 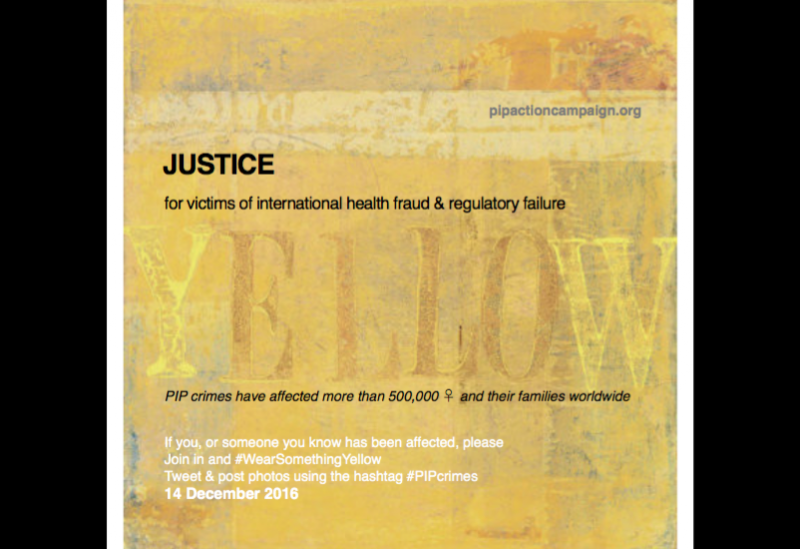 Those of us affected, together with our families and friends, will be wearing something yellow on the 14th December 2016 to raise awareness & remind those responsible that mothers, sisters & daughters are still suffering from PIP’s toxic contents and to this day, we are yet to receive the justice we all need & deserve! by toxic PIP breast implants.